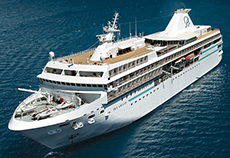 The spirit of Polynesian hospitality has also been integrated to our second luxury ship, The Moana. After taking ownership in December 2012 the ship underwent a multifaceted $10+ million renovation, the intimate Moana accommodates just 88 guests and reflects the highest standards of quality and service already established for the cruise line by the m/s Paul Gauguin. Like The Gauguin, The Moana specializes in warm-weather destinations, with an emphasis on delivering unique itineraries that larger ships cannot offer while exploring hidden ports throughout the Caribbean, Latin America and Europe. You can book a Paul Gauguin cruise with one of our travel agents and have peace of mind that your voyage will be well thought out and planned. 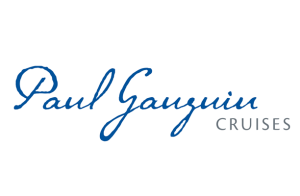 We will help you choose a Paul Gauguin cruise itinerary that will meet your vacation expectations!